Safety - New Enterprise Stone & Lime Co., Inc.
We have no tolerance for practices that fail to promote safety in the workplace or on the job site. Safety is our leading company value. 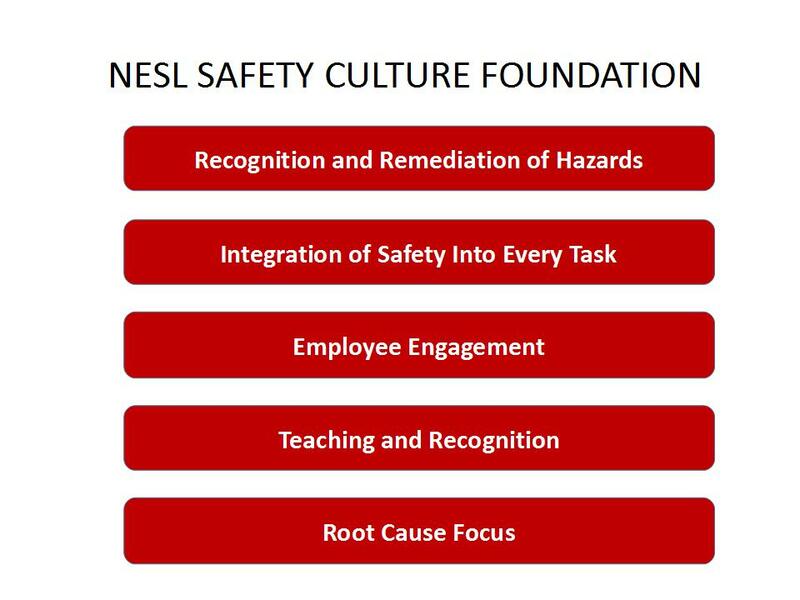 We work hard to develop a safety culture in all of our companies. From top management down, we have a “safety first” attitude and are determined to conduct all operations and maintain our facilities in a way that ensures a safe working environment for all employees. Our mission is tough: we want to eliminate all injuries from New Enterprise workplaces. Ongoing training and accountability on every level are helping us achieve this lofty goal. Our approach to safety and regulatory compliance has enabled us to grow. We continue to prove that a company can operate within safety and environmental regulations and remain cost efficient. We have demonstrated that safety can be a competitive advantage, and our commitment to safety is a vital part of our vision. At New Enterprise, we want every employee to go “Home Safe Every Day.” Our neighbors and communities can expect us to operate in a responsible and safe manner, and meet or exceed relevant standards, regulations and laws. Our vision is embedded into our company’s core values and business culture. We work relentlessly to achieve and sustain our safety vision through enterprise execution of five key elements that deliver world class safety performance. We’re proud of our employees. They are carefully selected individuals who have the professionalism, expertise, and pride to get the job done right — the first time. A New Enterprise employee begins training on day one. In addition to job-specific education & task training, all new hires attend sessions on general safety and health. All supervisors go through advanced leadership training which includes in depth behavioral safety training. As training needs evolve, we meet those needs. Ongoing training and accountability on every level help us improve and maintain standards well beyond legal requirements. NESL = HOME SAFE EVERYDAY!